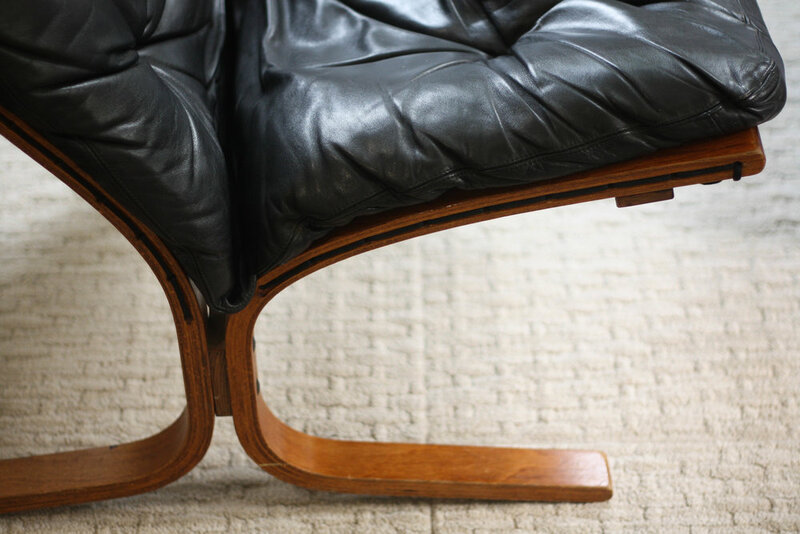 Can't beat the comfort of the Siesta Lounge Chair in Leather by Ingmar Relling for Westnofa of Norway circa 1960. Teak ply frame and a cantilevered seat. 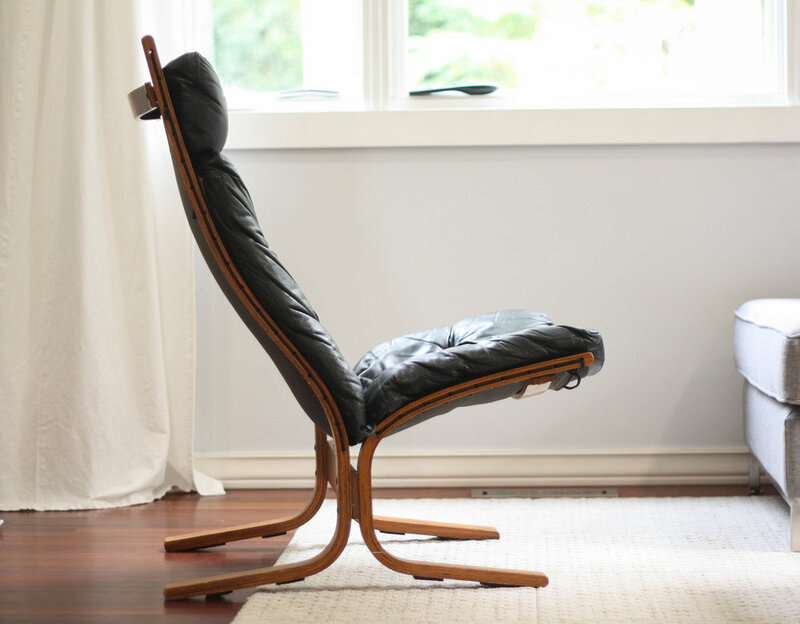 Provides a nice flex and give as you sit in the chair, almost a subtle rocking feeling. 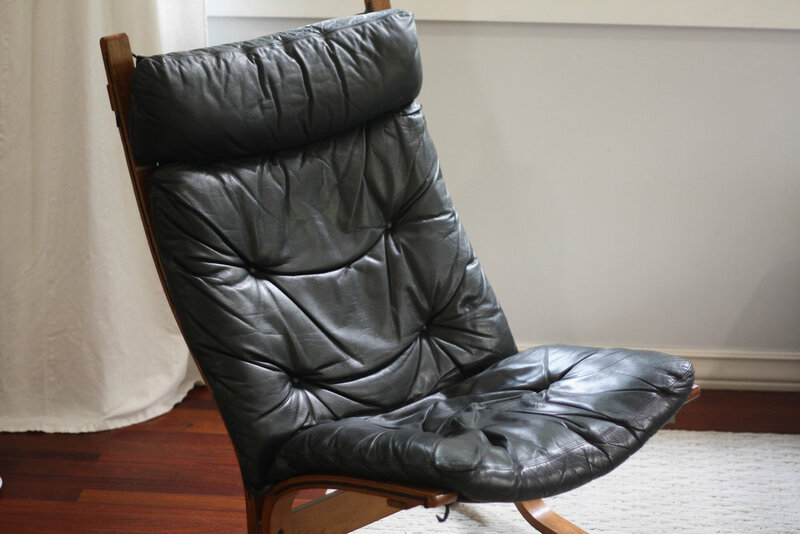 The black leather cushions are in very good vintage condition with no tears and very few markings. Definitely does not need to be recovered anytime soon.